The average wood deck lasts somewhere between 10 and 15 years. That’s a long time and, during this time, your wood deck takes quite a beating. 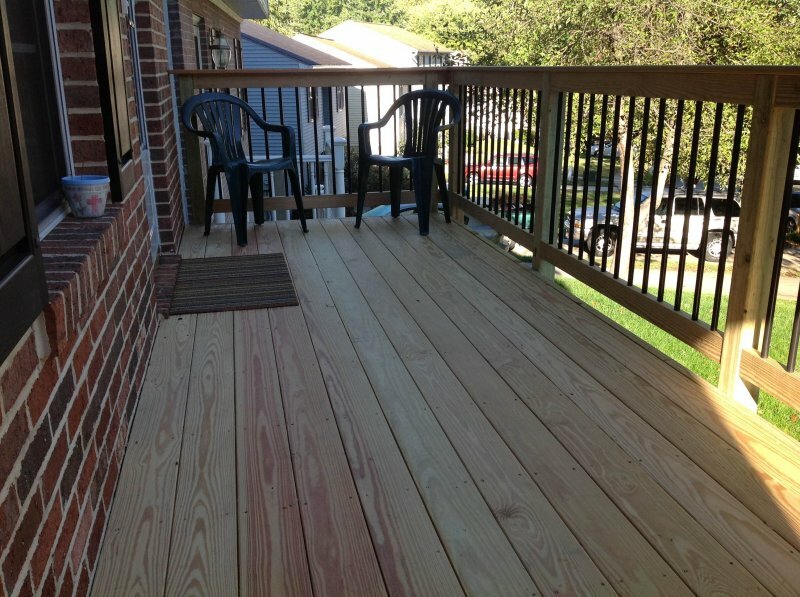 Between the ever-changing weather in Harford County, Maryland and natural wear and tear, your deck may begin to show its age without proper maintenance. Boards may begin to warp, nails may become dislodged, and mold and mildew may set in. One day, your deck WILL need to be replaced. One day…but not today. Today, you can get away with a little preventive maintenance and timely repairs. Wash: Before doing anything else, grab a power washer and give your deck a quick once-over to remove any caked on dirt and grime. Caution: Be sure to keep the pressure stream moving or you could damage the wood. Painting and Staining: Even pressure treated lumber needs additional protection from the elements. Painting or staining will not only gives your wood deck an instant boost in aesthetic appeal, but it will help your deck stand up to rain, sleet, snow, and more. Nail Pops: Nails can occasionally become loose, protruding from their holes. When this happens, it is important to hammer them home. If the nail is still loose, remove it and replace it with a screw. But make sure the screw is longer than the nail you’ve removed. Warped and Split Wood: Despite your best efforts, some boards may become warped or split. When this happens, it is important to replace them to not only preserve the aesthetic appeal of the deck, but also avoid trip and fall accidents. Timely deck repair can improve curb appeal while adding years of use and enjoyment to your current deck. If you own a deck and it has been awhile since it was built, you may be overdue for a deck evaluation from Freedom Fence and Home. This is perfect for homeowners who are not sure of their decks’ safety and structural integrity. Does it make more sense financially to repair your current issues or completely replace the deck? The professionals at Freedom Fence and Home will evaluate your deck and provide you with our findings. We offer affordable deck repair and replacement services. With 40 years of experience, Freedom Fence and Home has provided the highest quality fence and decking services to its many residential and commercial clients throughout Baltimore and Harford county. This entry was posted on Thursday, September 25th, 2014	at 6:50 pm	. Both comments and pings are currently closed.